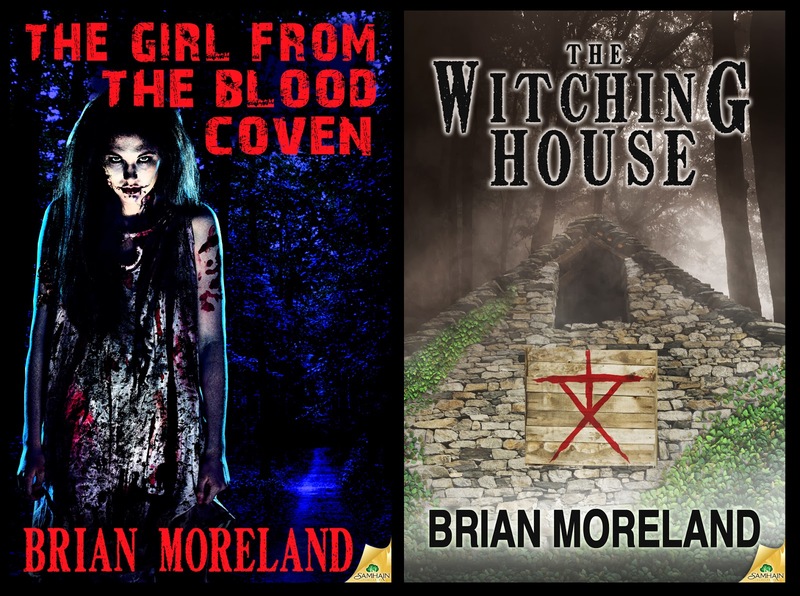 I’d like to welcome Horror author Brian Moreland to DJ’s Book Corner. Thank you for taking the time to come dish it up with me! Thanks, DJ, it’s great to be here. I love talking about books, especially horror. Freshmen year of college. I was 19 and reading a lot of Dean Koontz, Stephen King and Robert McCammon horror novels and short stories. While I love movies, I’ve always found reading fiction more enjoyable and satisfying. I’ve always had a vivid imagination. On a lark I decided it might be fun to write my own horror novel. I started coming up with a plot and characters while on Christmas break and then spent the whole spring semester writing the novel. I got so into writing fiction that I completely lost myself in the story. I would write 8-10 hours a day and skipped a lot of classes because I was having too much fun in my imaginary universe. By the end of the semester I completed my first novel and felt the most incredible rush of accomplishment. It occurred to me that my favorite authors get paid a lot of money to have this much fun, so it was then I decided I was going to pursue being an author. Tell us a little about your most recent releases, The Girl of the Blood Coven and The Witching House. Yes, last summer I released two back-to-back stories about witches. First, I published a short story The Girl from the Blood Coven. This terrifying tale about a massacre at a hippy commune in 1972 sets up the mystery for my novella The Witching House. The Girl from the Blood Coven is written from the point of view of a small town, Texas sheriff who investigates the murder scene at the Old Blevins House after a young witch, Abigail Blackwood, enters a roadhouse tavern covered in blood. I don’t want to give too much away. People can download my short story for free to any eReader. The Witching House takes place 40 years later, when a group of urban explorers decide to break into a haunted house set deep in the backwoods of East Texas. My main character is Sarah Donovan, a young woman who has recently ended a bad marriage. The ten years she had been married to her husband, Barry, Sarah’s life lacked adventure. Partly because her husband had been a complete couch potato, and partly because Sarah had a lot of fears--heights, tight places, the dark. She’s the kind of woman who wants to be adventurous, but needs to be pushed to try daring things. Sarah is now dating Dean Stratton, a man who is completely the opposite of her ex. Dean is a rugged outdoorsman, likes to jump out of airplanes, go rock climbing, scuba diving, and explore old buildings, especially haunted ones. His friends Casey and Meg are also adrenaline junkies who live for the thrill of adventure, which makes Sarah the weakest link of the two couples. The Witching House is essentially a horror story about a double-date that turns to terror when they choose to enter a boarded-up house in the woods that’s occupied by a creature living down in the basement. With my two witch stories, my style of storytelling is very different from my historical horror novels Dead of Winter and Shadows in the Mist. I grew up loving horror films from the late ’60s and early ’70s, like I Spit on Your Grave, Let’s Scare Jessica to Death, Squirm, Children Shouldn’t Play with Dead Things and of course the scariest of them all, Texas Chainsaw Massacre. There’s something about those washed out, grainy movies that make them scarier than movies made today. Those movies, along with the real case of the Charles Manson Family, inspired me to create my hippy cult of witches who had been living on a commune in East Texas in the late Sixties, early Seventies, and were massacred. If The Girl of the Blood Coven were a movie, what would be five perfect songs for the soundtrack? What do you like best about writing horror books? All the positive emotions associated with writing: the adrenaline rush of writing a scary action scene; the buzz I feel when the words are flowing faster than I can type them; the euphoric high I feel after finishing a book or short story; the joy when fans tell me they loved reading one of my stories and talk about my characters as if they are real people. I’ve always loved reading fiction and watching movies. They are fun entertainment, but mostly passive experiences. With fiction writing, I’m experiencing the story as I create it. With each new chapter I write, I’m always discovering new things about my characters and myself. The rush of creating a fictional world is off the charts compared to simply reading a story. What kind of music do you listen to while writing, if any? What’s your favorite “creativity” snack? I mostly write with silence, listening to the characters talk inside my head. Sometimes I do listen to music to put me in a certain emotional state. I’ll put in a movie soundtrack from Aliens, The Terminator, The Thing, Silence of the Lambs, Gladiator or a compilation of musical scores from various horror movies. Favorite creativity snack: chocolate-banana power protein smoothies. I write early in the morning and like to start my day with a smoothie. I love it when readers tell me how my book or short story impacted them. I’ve received some wonderful fan letters that go into depth on how much they enjoyed reading my fiction. I love it when they talk about my characters or describe a favorite scene from a book. Their praise takes a story that had lived so long inside my head and gives it a new dimension. Compliments from readers remind me that all my time spent writing alone at my computer eventually will add to someone else’s life. It makes all the hard work worth it. What can we expect to see from Brian Moreland in 2014? My next book The Vagrants will release as an eBook June 3rd, 2014. While most of my books are set in the woods, this one takes place in Boston. It’s a mix of Clive Barker and H.P. Lovecraft. Beneath the city of Boston evil is gathering. 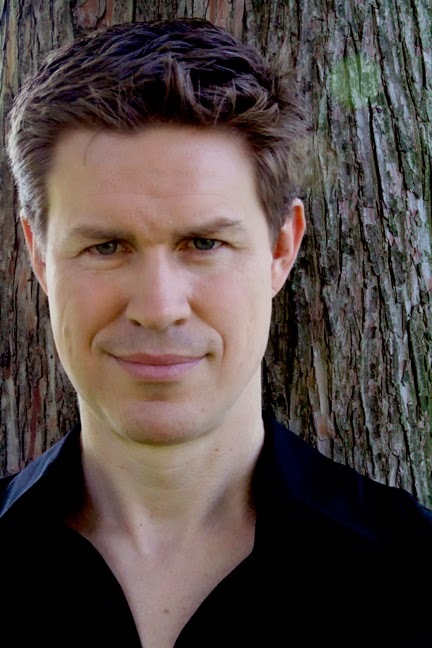 Journalist Daniel Finley is determined to save the impoverished of the world. But the abandoned part of humanity has a dark side. While living under a bridge with the homeless for six months, Daniel witnesses something terrifying that nearly costs him his sanity. Two years later, he’s published a book that exposes an underground cult and its charismatic leader. Now, as Daniel fears the vagrants are after him, a new problem threatens to destroy the lives of everyone he loves—his father is being terrorized by vicious mobsters of the Irish-American Mafia. As he desperately tries to help his father, Daniel gets caught up in the middle of a war between the mafia and a deadly cult of homeless people who are preparing to shed blood on the streets of Boston. Also, for people who prefer listening to audio books, all my books will release this year from Audio Realms. Have you ever wished you played one of the characters in the Walking Dead? Yes, I’d love to be one of the supporting characters in the group with Rick and Darryl and occasionally get a line. I’d also like to play one of the zombies. Thanks, DJ, I really appreciate you having me here as a guest. It’s been fun!